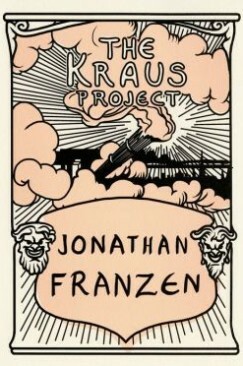 A year ago I interviewed Jonathan Franzen about his book, The Kraus Project: Essays by Karl Kraus, translated and annotated by Jonathan Franzen with Paul Reiter and Daniel Kehlmann (Farrar, Straus & Giroux) which is among the final five selections, in the category of Criticism, for the 2013 NBCC awards. My intro is below, but you can read the entire interview at NBCC’s blog, Critical Mass. At 6’2″, Jon Franzen fills the door frame of his New York City apartment where we meet, yet he’s not menacing in the least. In stocking feet and slightly stooping, he answers the door light-footed, friendly, buoyant even…not what you’d expect from the curmudgeonly misanthrope, Luddite, or any of the other names he’s been called by his detractors. What a great interview. Some pretty heady stuff. Enjoyed it completely. ← Deer: it’s what’s for dinner.